It’s a 4th of July Happy Hour! Hey everyone! We made it through another week and you know what that means? 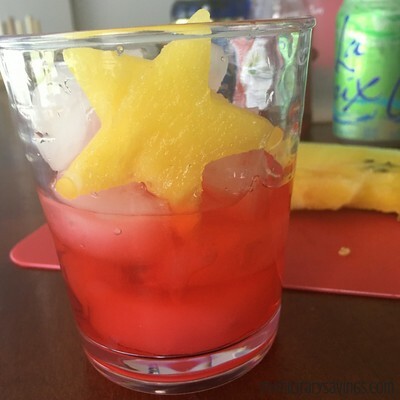 Another Happy Hour Cafe drink recipe! 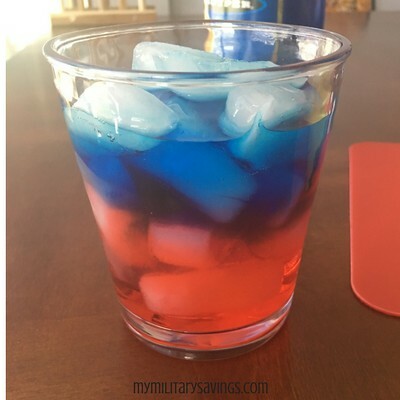 This drink is SUPER fun and very patriotic, just in time for the Fourth of July! YAY! 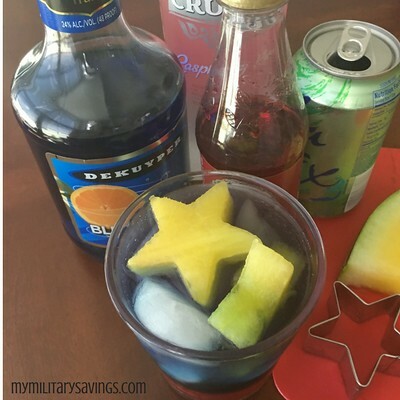 With only 4 ingredients and a little spoon magic, you’ve got a beautiful and yummy layered drink to impress your friends at your holiday BBQ! Slowly pour in 1 ounce of blue curacao on the back of spoon into the glass. This is lighter than the grenadine syrup, so it’ll float on top of the red layer. The spoon keeps it from splashing everywhere and mixing in with the red. How pretty and patriotic is that?! Now, you can drink it like this, but it’s REALLY strong. With the fruit flavored rum, it’s also very sweet. To cut that and add a mixer, I recommend lemon lime soda, club soda or even flavored sparkling water. For example, I used a Lime sparkling water and it went perfectly with the fruity flavors in the drink! 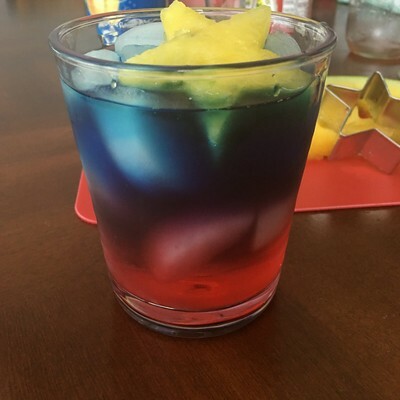 For quick shots: add the rum & grenadine syrup to the bottom of a shot glass and then slowly layer your blue curacao on top. Boom! As always, PLEASE DRINK RESPONSIBLY and safely enjoy your Fourth of July holiday! 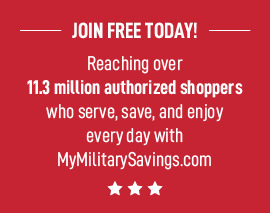 For more recipes and coupons, head on over to www.mymilitarysavings.com!